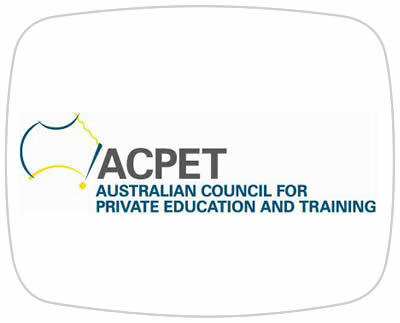 Australian Council for Private Education and Training (ACPET) - Supporting private RTO's to design, develop and deliver an eLearnng prototype to advance their business and meet the demands of their learners. Since 2006, Yum Studio eLearning Director Michael Gwyther has been ACPET Victoria's eLearning mentor. This project, involving around 15 RTOs a year, is designed to produce outcomes for each participating RTO and clients by providing regular eLearning activities, contact, encouragement and advice to participants. Yum works with ACPET to provide a participating RTO's with a structured mentored design process, acquire skills in rapid eLearning content development, virtual facilitation skills, video and audio learning resources, and Web 2 skills. ACPET is a national industry association for independent providers of post-compulsory education and training, for Australian and international students. "Michael always gets high results and participants are very happy with his mentoring style."